Buy a drone, hit the record button, get it up in the sky. Unfortunately, aerial photography and videography is a lot more difficult than it seems. A lot of practice is required to hone your piloting abilities as well as to familiarise yourself with your aircraft. When flown correctly, drones offer some seriously breath taking imagery that until recently, would have cost a small fortune to capture. 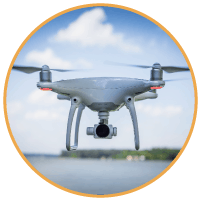 Now thanks to the ever evolving technology surrounding the consumer drone industry, high quality professional standard UAVs are now cheaper then ever. That’s not to say they're cheap… just cheaper and more feature rich than they used to be. BUT. How where do we start? What’s the best process ​of leaning to fly a drone? 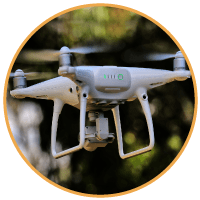 With these questions in mind, we’ve reached out to a number of industry professionals who were willing to give us some insights and reveal their number one drone photography tips for beginners. 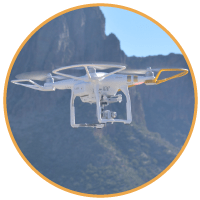 Learn how to fly the drone first, practice small precise moves and gain an understanding on how they move as a result to the inputs you give on the controller. Then learn about the camera, after all it is a camera in the sky for most kind of work, you don’t buy a $100,000 camera and suddenly you are a Director Of Photography. Same with drone filming, you are not a professional just because you can put the drone in the air. Understand your equipment and take small jobs that you can handle and work up to bigger ones as your experience grows. Get 50 hours flight time under your belt and then start your commercial career. Talk to CASA, they are there to help you. ​Bill has been a licensed drone pilot for over 4 years, and has shot many TV shows such as Aus Ninja Warrior and The Voice plus many others. Bill is currently in Perth flying a drone swarm of 40 drones at the Royal Show. Start off by flying slowly and make smooth movements. Just because we are limited by the battery time doesn’t mean that wet have to rush the shot. It is not easy in the beginning but the result is just amazing and professional. Use the mode tripod if you have a DJI drone and shoot if possible minimum in 50fps. Arnaud Denisot – "I am the director of Bali drone production, I come from France and I wanted to change my life so I left my IT engineer job in Paris and I came to Bali to mount my own company." 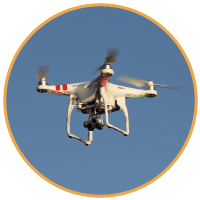 Number one is to study up and take the test to become a certified Part 107 sUAS pilot. The other would be to obey all rules and regulations regarding the drone flight path and airspace to minimize any mishaps. Lastly, and I think this goes without saying, if you’re going to be one of the best then that simply requires practice, practice, practice. Check out videos of other guys crushing it like Charpu and Robert Mcintosh and try to see things through their eyes. Another obvious one would be to learn how to edit video and stills with the most popular tools: Adobe, Apple, etc. Matthew A. Feige - Drone Dudes have pioneered the modern drone space since 2010. 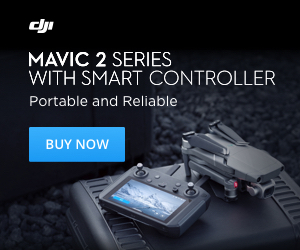 One of the most experienced and talented drone production houses in the business offering high-end aerial cinematography for some of the biggest names in the world, including Lexus, BMW, Honda, Subaru, Netflix, and Amazon (to name a few). 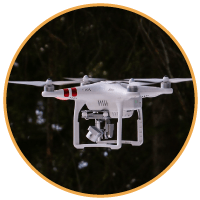 ​​Check out other drone pilots videos on sites like YouTube and Vimeo. See what kind of shots they’re pulling off and see what you can do better. You will be surprised at how much you can learn from watching other peoples work. My number one tip for any pilot is to always remember that something can always go wrong and when it does it’s your job as the pilot to mitigate the impact of that malfunction. It’s easy to get cocky and forget that you really are flying a valuable piece of equipment that has the potential to do serious damage to property and individuals. Cole Heilborn – I’ve been flying for about 5 years now and got my part 107 license last April. My company, Port Side Productions focus on finding adventurous stories and chasing them. We believe that life in itself is an adventure and there are moments worth capturing. My number 1 tip is when you first begin to fly try and find a large open space to test out your drone. Something with no trees or buildings in your way. Also keep it within line of sight. Don’t worry about shooting amazing photos or video at first. ​Just focus on feeling comfortable with the drone in the air. 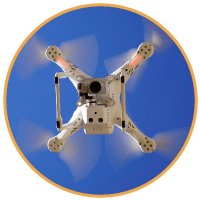 Colin Hinkle – Aerial photographer Owner – Soaring Badger Productions – Soaring Badger Productions was the first FAA approved Chicago based drone production company and the first allowed to film on closed sets for movies and television in Illinois. We are also one of the few companies allowed to film at night. 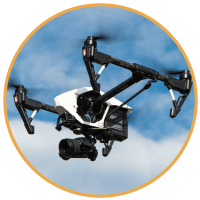 We are the best drone production company in Chicago with the most experienced team of licensed pilots and award winning camera operators. Owner Colin Hinkle is an Emmy award winning veteran in the TV and film business. Take off and landing should be done in a clear open space without children or small animals, and where you can comfortably see your screen in the shade. Stay focused and fly within your ability. Video games are also a great way to practice your motor control skills and hand eye coordination that will directly translate to flying drones. Take your time to set the shot up once and nail it on your fist try! Relax, take a breath and your time – Its very easy to get carried away with excitement when flying a drone and trying to frame a shot. Flying drones has a way of raising your adrenaline and when that happens, you tend not to notice certain things until its too late and you are sitting in front of you lap top getting ready to edit your photo/video. Being relaxed will ensure the best possible out come for your drone shot. What should you tell yourself to help you relax? If you are flying a drone that about 2 years old.. your probably have about 20 mins worth of flight time. That is plenty of time to get in place, frame a shot and make your move with out the pressure of time working against you. While we don’t physically pilot our drones (although we have on occasion) we employ a lot of excellent pilots … and have worked with some not so good ones. Depending on your level of experience and portfolio will determine how controlling the director will be. So, if you have an excellent portfolio and high level of experience, we’d likely hired you for that portfolio and experience and will let you do your thing. If you’re newer to the scene then expect more direction of what to film and frame. However, there’s always a bigger story than just your drone shot. You can’t make a film with just drone footage, your shots need to compliment the dialogue and other action shots filmed on the ground. This whole vision is in the head of director, so on our sets you’ll hear a lot of communication between pilots and directors. Those of you who fly two operator drones will know how important communication is during a flight, consider the director another part of that communication train. A good director will know when to be quiet and will likely give you directions before the flight, however be ready to communicate with your director during flight. If you’re unable to get a shot the director is asking for due to technical issues, communicate this with them so they don’t get frustrated wondering what you’re doing. Test flights are important not just for your equipment, but understanding how you’ll communicate with your director… this is the time to iron out any issues, not mid-flight. Review your work with the director so you can see what they do and don’t like … especially important to watch the final edits so you can see what shots were selected and how they ended up fitting into the story. For example, there’s no point going after a very long approaching shot if the director knows they don’t have that much time in the edit, and just needed the shot right above the subject. It is at the end of the day an artistic collaboration between two creatives, so you likely will come across director’s you don’t get on with and find those you love. Foster those good relationships. Master your technology is an obvious tip, but this allows you to focus on communicating with your flight team and director and not worry about technical operations. 1iOPEN PRODUCTIONS – We are an award-winning adventure film production company that specialise in remote environment and expedition content. We have acquired permission to fly in some of the world’s most restricted flight zones such as the disputed military region of Jammu & Kashmir, Northern India, and Xinjiang Provence in North West China. We’ve won awards for our drone work and work with some of the most talented drone pilots in the industry notably Larkin Carey of Falkor Aerials. 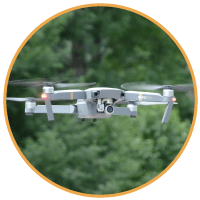 Before you even begin to think about shooting aerial imagery, it’s extremely important to understand the basics and fundamentals of flying a drone. Back when I first started flying drones, I was too eager to shoot some mind blowing aerial videos and coming from a filmmaking background, that was all I really cared about. It soon hit me than I was trying to run before I could walk, so the next day I went out and mastered the very basics. I followed the traditional learning steps of flying in a square, then a circle, then a figure of 8. Once I could do this with ease I then started to play with the throttle and adjust the altitude. A couple of batteries later and I was a completely different drone pilot; I was far more comfortable behind the controller and actually shot some pretty nice stuff if i do say so myself! James Davis (hey that’s me!) – Passionate drone enthusiast and filmmaker, founder of DroneRiot.com and jury member of the DFF ANZ film festival 2017. That brings us to an end of our top drone photography tips! We’ll continue to add to our list as we speak to more professionals in the industry! Thank you for all the drone photography tips. My husband just got a drone and he really wants to make some videos and take some great pictures using it. I really liked your tip about how you don’t have to rush the shot just because you are limited by battery time. I think it is important to take your time and make sure you get what you want. I’m glad you talked about making sure you’re a master of the basics before doing photography. My younger sister is looking to get some aerial photography done for her upcoming wedding. I’ll be sure to talk to her about hiring a professional who completely understands the basics of flying a drone. Amazing collection of tips from the great industry professionals. 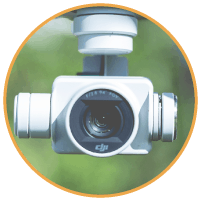 It not only helps the beginners but also helps the ariel or drone photography enthusiast for still more better photography. Thank you for the great advice. Thanks for stopping by Dennis and for your kind words!